There will be plenty of headlines that include the words “007” and “new company car” but the latest Vantage is much more than that, as this is a vehicle that not only has to replace one of the prettiest models Aston Martin has ever made, it also has to compete with some of the finest sports cars currently on sale. 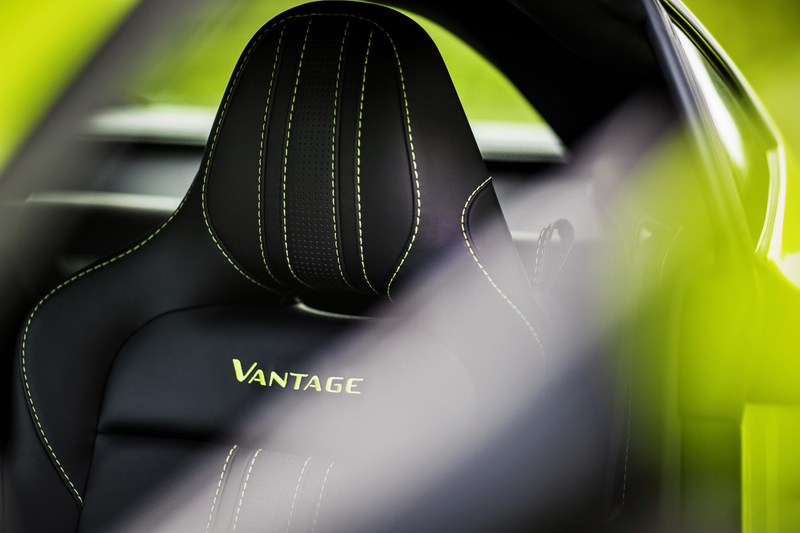 In short, Vantage has always been Aston’s truest sports car and as such, the new model features some bold new exterior styling, with plenty of pumped up haunches, an air-channelling front splitter and new side gills that help create all-important down force. At the back, there’s a full on diffuser and under body splitter, as well as a neat ‘ducktail’ boot spoiler that incorporates a Porsche 911-style rear strip light. 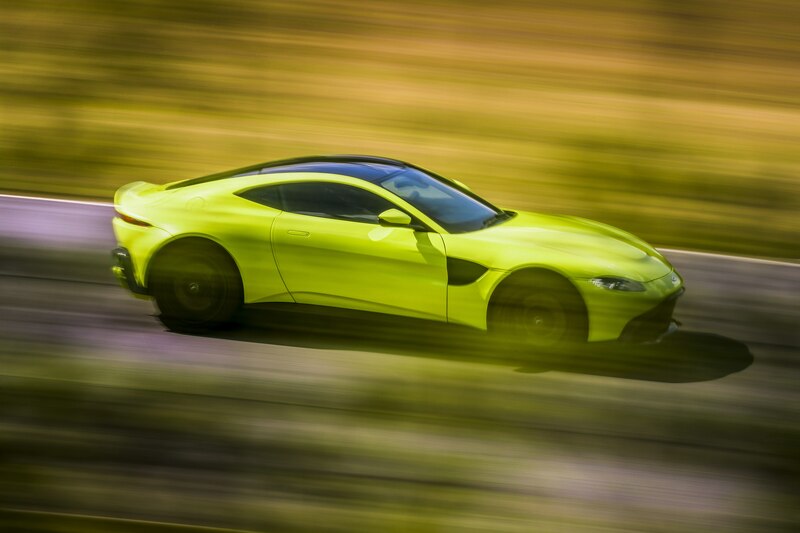 Perhaps not as immediately beautiful as it predecessor, the new Vantage seems to take a moment for eyes to digest, with the gaping front end, seemingly tiny front lamps and bulging bonnet proving more gentleman thug than gentleman racer. But look harder and the styling touches blossom, with the overarching statement being that this is a thoroughly modern Aston that can certainly hold its own with the current crop of sports car. If you read our first drive of the Aston Martin DB11 V8, you’ll know that this is a new era for the British marque and one that tastes distinctly like something from Germany. Like its continent-crossing brethren, the new Vantage features a 4.0-litre twin-turbo V8 that can be found in some of Mercedes-AMG’s fruiter models. Here, it develops a heady 510hp and 685Nm of torque from 2000-5000rpm, while a dry weight of just 1,530kg (170kg lighter than the DB11) allows it to sprint from 0-60mph in 3.5 seconds and on to a top speed of 195mph. 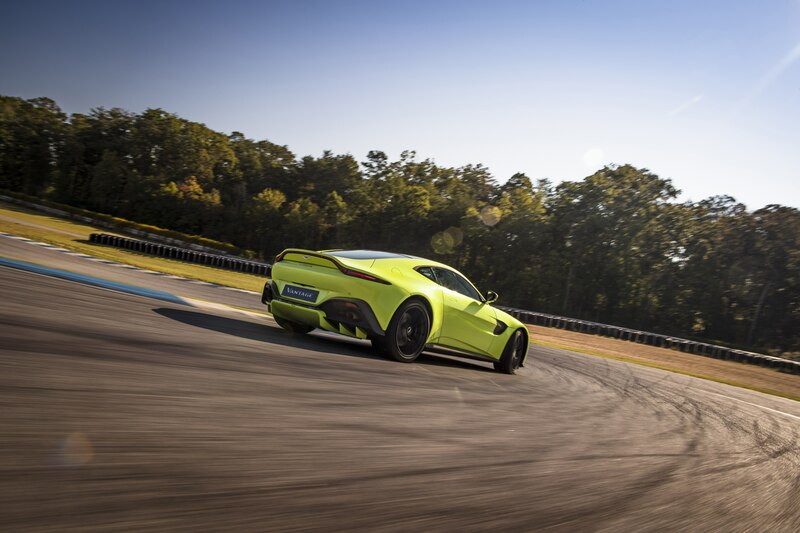 However, Aston isn’t content with simply creating a blisteringly quick drag car, which is why it enlisted the help of ex-Lotus ride and handling maestro Matt Becker, who is partly responsible for the new electronic differential. 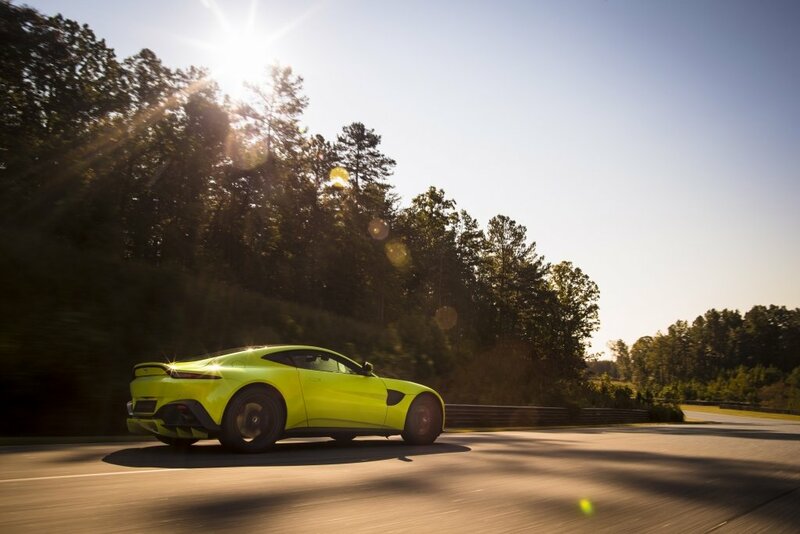 According to Aston, unlike a conventional LSD, this new e-diff can go from fully open to 100% locked in a matter of milliseconds and allows the driver much greater control of the car at the limit. The bonded aluminium chassis is broadly taken from the DB11, although 70 per cent of the structure’s components are new for Vantage. 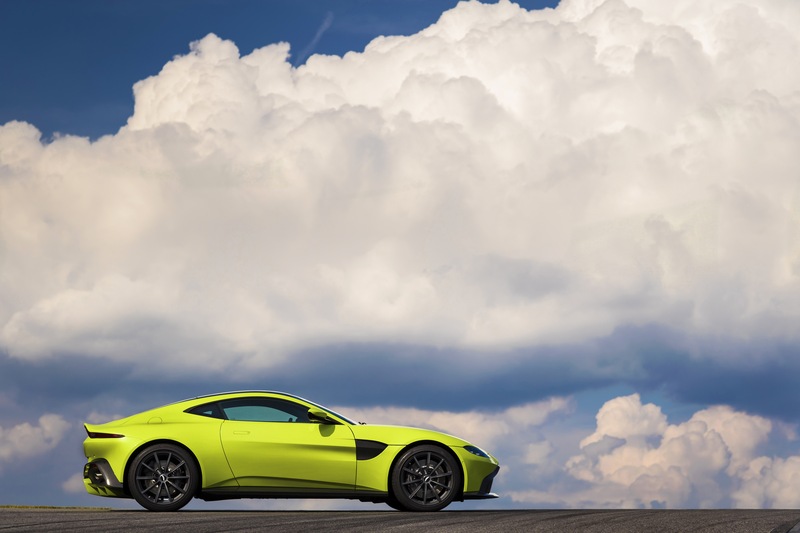 These include a solidly mounted rear subframe, new Pirelli P Zero tyres developed specifically for new Vantage and the latest generation Adaptive Damping System, which incorporates offers the choice of Sport, Sport Plus and Track modes. Of course, there’s also plenty going on inside the car, with part of the in-car entertainment system also borrowed from Mercedes-Benz, which sees an eight-inch LCD screen mounted centrally on the dash. 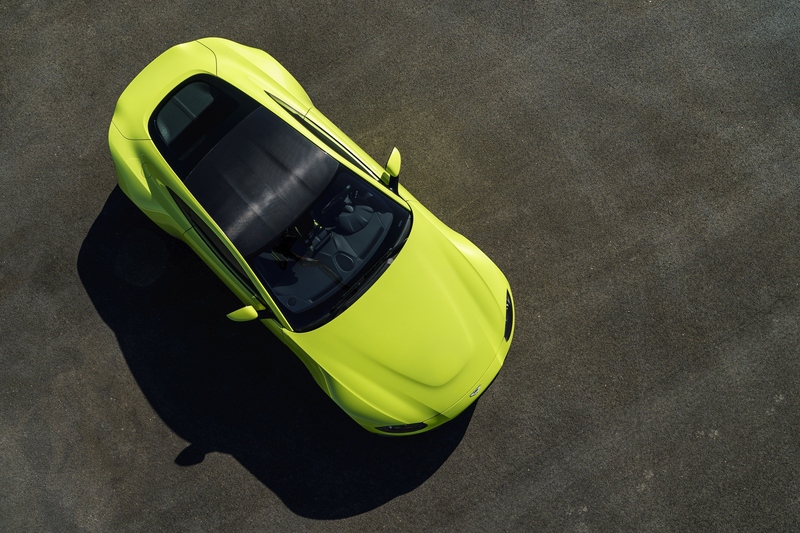 Fans of the DB11’s slightly bonkers colour palette will be pleased to know that Aston isn’t holding back with some of the options on new Vantage, which includes what can only be described as “highlighter pen yellow” for both interior trim and exterior paint. It’s actually called ‘Lime Essence’, in case you fancy optioning it. Naturally, customers will be able to specify their vehicle in more subdued hues, with Aston claiming that every model can be customised to a buyer’s tastes. The new Vantage is on sale now with a recommended retail price from £120,900 in the UK and will start to hit our roads in the summer of 2018. Does AMG into Aston Martin really go?